Motivation is undoubtedly a driving force of success, both in business and in life, but it doesn’t always come easily or naturally. Knowing how to motivate your employees requires an understanding of where motivation comes from, and how it works. Motivation is one of the 5 domains of emotional intelligence, which is key to leadership and people management. That’s why we’d like to help you develop yours. Yes, emotional intelligence can be learned. A big part of motivating people is understanding what drives them, and people are driven by their emotions. So getting in touch with your employees’ emotions (and your own) will help you to more effectively motivate them. Motivation is key to employees’ success, and it can boost their engagement, productivity, and innovation. The funny thing is that while motivation can increase those other success factors, those factors can also boost motivation. It works in a cycle. All of these things impact not just the input (what goes into the production), but also the output of a company (what is produced). A higher quality input leads to a higher quality output, and it all starts with motivation. Motivated employees are valuable to organizations because they put the most into their work, and it shows in what they produce. To effectively motivate their employees, managers need to understand how motivation works, and where it comes from. Learn the five skills that will help you increase employee motivation on your team with the FREE Emotional Intelligence Email Course. There are generally considered to be two types of motivation: extrinsic motivation, and intrinsic motivation. A simple way of understanding extrinsic motivation is as something external that you receive for having completed a task, like a paycheck. Intrinsic motivation can be thought of as something internal that drives you to complete the task, like creativity or commitment. That being said, intrinsic motivation also comes with rewards. The difference between extrinsic and intrinsic motivation is how the reward relates to the task. Rewards that have nothing to do with the task at hand are extrinsic motivators, and rewards that come out of the task are intrinsic motivators. Think about a child doing chores to earn an allowance. The allowance is an extrinsic reward because it isn’t directly related to the task of the chores. On the other hand, consider learning how to make a new recipe. Eating the food once it’s prepared is an intrinsic reward because it is a direct result of the task of cooking. While extrinsic motivation is a necessary part of a job (everyone has to make a living), intrinsic motivation is also very important in the workplace. Employee engagement is 3 times more affected by intrinsic motivators than extrinsic motivators. When employees are simply working for a paycheck, they won’t be as motivated to meet their highest potential. Not only is extrinsic motivation less effective, HBR also cites an analysis by Edward Deci and colleagues that shows that it can actually have a negative impact on intrinsic motivation. The intrinsic motivation that employees have to perform is diminished when they’re offered extrinsic rewards. Bold Idea: Annual Reviews can contribute to culture of extrinsic motivation. It might sound radical, but it’s possible to successfully eliminate the Annual Review to foster a more intrinsic approach. What comes out of employees’ work is a direct result of what goes into it. Intrinsic motivation is all about how your employees evolve, both professionally and personally. Being motivated at work is directly related to personal motivation and development. That’s why getting your employees motivated requires a better understanding of what drives them. This is where your emotional intelligence really comes into play. Some tasks hold obvious intrinsic motivation, like things that people simply enjoy, and things that exercise and develop their skill set. Employees are also intrinsically motivated to do things that they’re passionate about. Believing in the purpose and mission of the organization and aligning with the company’s values are key to employee motivation and engagement. Ultimately, intrinsic motivation is about feeling a sense of purpose. Employees want to feel that they’re a part of something bigger than themselves. Sometimes tasks can seem insignificant or even invaluable when they’re not contextualized. Seeing how their work contributes to larger goals helps employees understand the importance of what they do. Understand intrinsic motivation and why it’s crucial to employee engagement is important, but knowing how to get employees motivated can be a challenge. We have some ideas and tips for increasing employee motivation in your team. First and foremost, your employees want to feel inspired and motivated in their day-to-day work. That’s why it’s important to foster an intrinsically motivating work environment and culture. If you never try, you’ll never know. Make this a team mantra and support employees in trying new approaches and experimental projects. Giving employees this freedom also helps you to build trust. Seek out the learning opportunity in every failure and remind your team that failures are a natural part of progress. Employees want to see how their role contributes to team and company goals, but take this to the next level by involving them in setting those goals. Bring employees into brainstorms and planning for big initiatives and let them see for themselves how their work fits in. Developing both personally and professionally is a big part of intrinsic motivation, so encourage both. Set up monthly talks and/or workshops led by different employees in their area of expertise or personal interest to encourage a culture of learning. Recognition for a job well done can significantly boost employee motivation. Make a point of acknowledging your employees’ successes and make a space for employees to give each other kudos, whether on the office whiteboard or in a Slack channel. A sense of team spirit can go a long way in increasing your employees’ motivation. Schedule occasional larger team building activities, like visiting an escape room, but also incorporate team building into work life. Have your employees work together to assemble a new piece of furniture for the office or plan a monthly crafternoon. 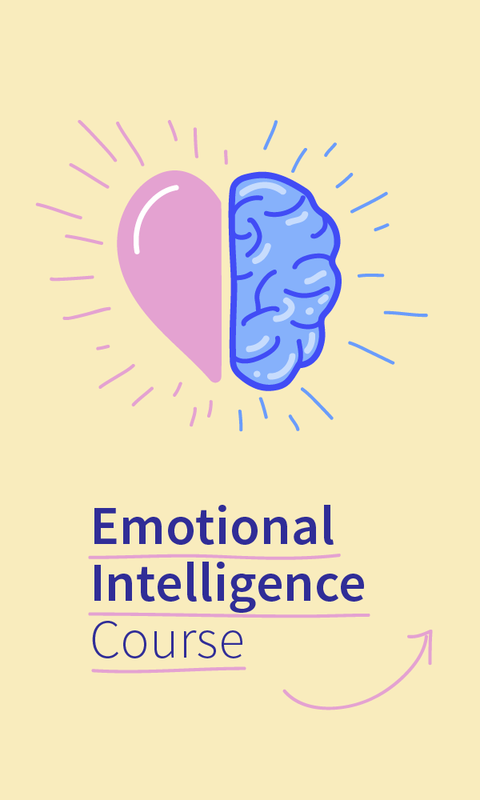 Develop the skills that will help you increase day-to-day motivation on your team with the FREE Emotional Intelligence Email Course. You may provide a motivating environment and culture for your team, but even motivated employees occasionally need a boost for certain tasks. Sometimes your employees just need help connecting their intrinsic motivation to the assignment in front of them. There are different reasons why an employee might be unmotivated, and how you motivate them depends on where there lack of motivation comes from. Employees sometimes lack motivation because their focus is too narrow, or they need a change in perspective. Talk to your employee about how the task at hand contributes to the bigger goals of the team and the company. Plan out next steps with employees so that they have something to look forward to once the task they’re struggling with is complete. An employee could be unmotivated to complete the task because it doesn’t fit into their defined role. Show them how the task can be a learning experience, and an opportunity for growth. Help them to see it as a chance to branch out. Try to assign these types of tasks based on employees’ interests for growth and development. On the other hand, if the task is something repetitive or tedious that the employee has grown tired of, they might need to be reminded of why it’s important. How you do this depends on the purpose of the task. Show the employee the positive impact that the task has had over time internally, externally, or both. Go over data related to the task or share a testimonial that shows how much clients appreciate that work. When you face a lack of motivation on your team, the first step should be to try to boost intrinsic motivation. If your employees are intrinsically motivated in their day-to-day, that motivation should encourage them to tackle the little tasks that they might find tedious or boring. But sometimes, despite your best efforts, employees may simply not be intrinsically motivated to complete certain tasks. We mentioned earlier that extrinsic incentives can reduce intrinsic motivation. That may be true… but there’s a loophole. While extrinsic motivation can decrease intrinsic motivation for fulfilling tasks, HBR cites another analysis by Judy Cameron and colleagues that shows that for mundane tasks, extrinsic rewards can actually be quite motivating. So, if intrinsic motivation to perform a task is lacking, extrinsic motivation might just be enough to get the ball rolling. An extrinsic reward for a task your employee is unmotivated to do can actually show your employees that you empathize with them. It’s a way of showing that you appreciate their efforts. First and foremost, tedious and mundane tasks shouldn’t end up all getting dumped on the same employee if it can be avoided. Recurring tasks can be assigned on rotation so that every employee takes their turn. When tasks are assigned in rotation, the employee taking on the task could be rewarded with an extra long lunch hour, or another non-monetary reward. Occasional tasks, on the other hand, can be assigned based on employee workload and in consideration of who the last task went to. They can be assigned on a volunteer basis with extrinsic incentives attached. This not only motivates employees in the sense that they are receiving a reward, but also because they chose to take it on. Pro Tip: Take extrinsic motivation to the next level by giving your employees something more personal than a cash bonus. Cater extrinsic rewards to the personal interests of your employees. Give them a ski pass, a gift card to their favourite restaurant, or a bottle of their favourite wine—whatever shows that you know them and that you care. Motivating your employees might seem difficult, but it doesn’t have to be. Developing your emotional intelligence will help you connect with your employees and understand what really drives them. Getting your team aligned around your goals will increase everyone’s intrinsic motivation. Develop the 5 skills shared by the most successful leaders in business with our FREE Emotional Intelligence Email Course. Don’t forget to check out our other articles pertaining to the Domains of Emotional Intelligence! What are your best tips for getting employees motivated?